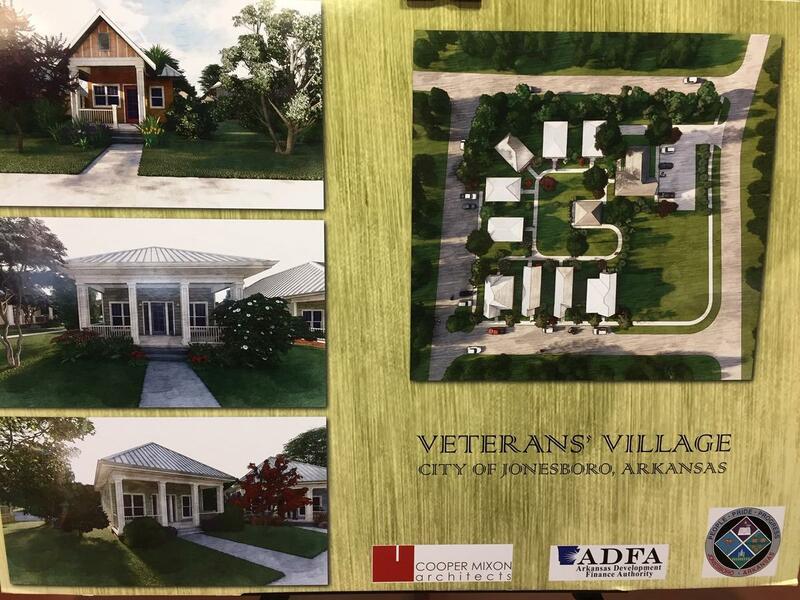 Rendering of Veterans' Village in Jonesboro. This is A-State Connections on KASU. Homelessness among veterans is a national problem. One housing project is designed to help address that issue in Jonesboro and the region. In a little over two years, homeless veterans can be placed in transitional housing called Veterans Village. Nine homes will be built for qualifying veterans. Those placed will receive basic necessities and services to help get them back on their feet. The Beck PRIDE Center at Arkansas State University provides services to veterans in the community and will run the Veterans Village. Those include helping veterans fill out forms for benefits, a support group, and students providing services. Director of the Beck PRIDE Center is Lynda Nash. Click on the Listen button for the entire interview.